The Directors of Oil Basins Limited (ASX:OBL) are pleased to make the following ASX announcement. Oil Basins Limited has advised Octanex N.L. (ASX:OXX) that, with the National Native Title Tribunal determination on 1 February 2013, OBL has successfully completed the first requirement of the farmin for a 25% interest in the Derby Block (after grant) to OXX as previously announced on 24 January 2013. The Directors of Oil Basins Limited (ASX:OBL) are pleased to make the following ASX announcement. The Company advises that late on Friday 1 February 2013 it received the formal arbitration determination of the future act, namely allowing the grant of petroleum exploration permit 5/07-8 EP (Derby Block), under the Native Title Act 1993 (Cth) from the National Native Title Tribunal (NNTT). 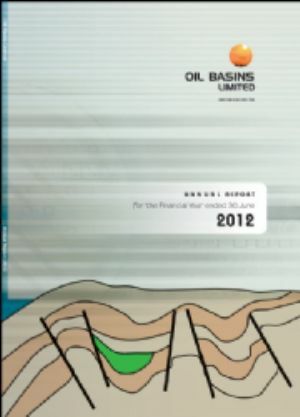 Oil Basins Limited (ASX:OBL) is pleased to present its December 2012 Quarterly Report. Oil Basins Limited (ASX:OBL) anticipates that it will soon be awarded at least 50% of petroleum exploration permit 5/07-8EP (Derby Block), refer to Figures 1 & 2, OBL has arranged a modest capital raising, with the funds so raised to be used by OBL as general &apos;top-up&apos; working capital and to assist the Company&apos;s initial funding of its interest in the Derby Block. The Directors of Oil Basins Limited (ASX:OBL) are pleased to make the following ASX announcement as a matter of record so as to keep the market fully informed. Derby Block - Status; The Company advises that all submissions from stakeholders have on 21 December 2013 now been received by the National Native Title Tribunal ("NNTT") and the Company expects a formal determination by the NNTT under section 35 of the Native Title Act allowing possible award of the permit later this month. The directors of Oil Basins Limited (ASX:OBL) are pleased to make the following ASX and Media Announcement. OBL holds 100% of Retention Lease R3/R1 in the offshore Carnarvon Basin. The lease covers approximately 80 km2 in relatively shallow water (~15m). There are four wells in the permit: Cyrano-1 and Cyrano-2, Fennel-1 and Lindsay-1. The two Cyrano wells define an oil field containing heavy biodegraded oil (22.8 degree API) with a relatively high oil viscosity (3.95 cp) within Mardie Greensand and Barrow Group reservoirs. The Company continued work on advancing a number of projects in its portfolio including a Cyrano contingent resources upgrade, preparations to drill East Blina-1 in the Canning Basin, and furtherance of native title arbitration concerning petroleum exploration permit application 5/07-8 EP in the Canning Basin. Oil Basins Limited (ASX:OBL), as designated Operator on behalf of the Backreef Area Joint Venture (OBL net 80% and Green Rock Energy Limited (ASX:GRK) net 20% beneficial interests respectively), wishes to make the following Operations Report #5 concerning the East Blina-1 petroleum exploration well, within Production Licence L6, Canning Basin. Oil Basins Limited (ASX:OBL) 2012 Annual General Meeting will be held at 11:00 am (AEDST) on Wednesday, 28 November 2012 at Institute of Chartered Accountants, Level 3, 600 Bourke Street, Melbourne, Victoria 3000. Oil Basins Limited (ASX:OBL), as designated Operator on behalf of the Backreef Area Joint Venture (OBL net 80% and Green Rock Energy Limited (ASX:GRK) net 20% beneficial interests respectively), wishes to make the following Operations Report #2 at the East Blina-1 petroleum exploration well, within Production Licence L6, Canning Basin. Oil Basins Limited (ASX:OBL) wishes to make the following ASX Announcement, so as to keep the market fully informed. The Company, as designated Operator on behalf of the Backreef Area Joint Venture (OBL net 80% and Green Rock Energy Limited (ASX:GRK) net 20% beneficial interests respectively) wishes to make the following Operations Report #1 at the East Blina-1 petroleum exploration well, within Production Licence L6, Canning Basin. Oil Basins Limited (ASX:OBL) wishes to make the following ASX Announcement, so as to keep the market fully informed. The Company, as designated Operator on behalf of the Backreef Area Joint Venture, has since mid-August 2012 been advancing approvals for the drilling of the East Blina-1 petroleum exploration well within L6 in the Canning Basin. 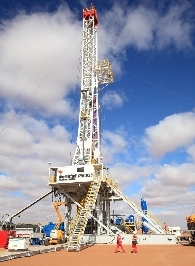 As previously advised site clearing operations commenced on 6 October 2012 and rig-up with the Dynamic Drilling Rig #17 commenced on 14 October 2012. 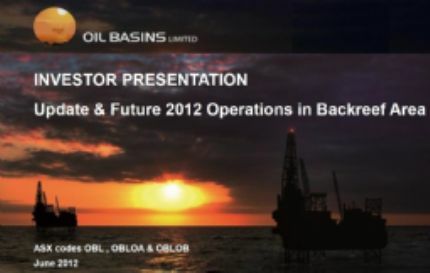 The directors of Oil Basins Limited (ASX:OBL) are pleased to announce the Company&apos;s 2012 Annual Report and the following highlights. During the year ended 30 June 2012, under the first full-time year of the present board and management model. 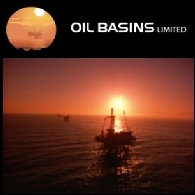 Oil Basins Limited (ASX:OBL) is involved in exploration for oil and gas in the offshore Gippsland Basin waters of south-eastern Australia, the onshore Canning Basin of Western Australia and the offshore Carnarvon Basin waters of Western Australia. Importantly all assets are situated in good hydrocarbon addresses and all are strategically close or adjacent to existing or future development infrastructure. Further to the earlier ASX Release dated 14 August, 2012, Oil Basins Limited (ASX:OBL) wishes to make the following ASX Announcement, so as to keep the market fully informed. The Company, as designated Operator on behalf of the Backreef Area Joint Venture (OBL net 80% and Green Rock Energy Limited (ASX:GRK) net 20% beneficial interests respectively) has now significantly advanced its preparations for the proposed 2012 Canning Basin drilling operations. 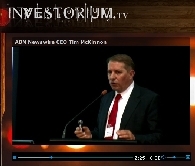 Oil Basins Limited (ASX:OBL) A link has been established on the Company&apos;s Website www.oilbasins.com.au to enable both shareholders and investors to view a recent video of the OBL presentation at the RIU Good Oil Conference on 4 September 2012 by Neil Doyle, Director and Chief Executive Officer. 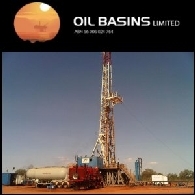 Oil Basins Limited (ASX:OBL) is pleased to present its June 2012 Quarterly Report, report includes; Operations report, operated and non-operated assets highlights, summary of test results, corporate update, news business and 2012 forward program. Oil Basins Limited (ASX:OBL) wishes to make the following announcement so as to keep the market fully informed. The Company, as operator on behalf of the Backreef Joint Venture - OBL group net 80% and Green Rock Energy Limited (ASX:GRK) group net 20%*, provides the following update on cased hole production testing operations at the Backreef-1 well. Oil Basins Limited (ASX:OBL) wishes to make the following announcement so as to keep the market fully informed. The Company, as operator on behalf of the Backreef Joint Venture - OBL group net 80% and Green Rock Energy Limited (ASX:GRK) group net 20%*; wishes to advise that all test equipment arrived on site late Sunday 20 May 2012, but due to a combination of downtime of the Australian Drilling Services (ADS) Rig#2 and the unexpected difficult drilling of the cement plug (now successfully completed this morning), we now anticipate that the well test operations will commence on Thursday 24 May 2012. Oil Basins Limited (ASX:OBL) wishes to make the following announcement so as to keep the market fully informed. The Company, as operator Backreef Area, wishes to advise that subject to receiving all necessary approvals and consents from the DMP to conduct the forthcoming Backreef-1 Production Tests. The directors of Oil Basins Limited (ASX:OBL) are pleased to make the following ASX Announcement. Green Rock Energy Limited (ASX:GRK) has exercised its option to acquire a 20% beneficial interest in the Backreef Area, Canning Basin through acquisition of an OBL subsidiary, in accordance with a Share Sale Agreement that has been executed by the parties. Oil Basins Limited (ASX:OBL) wishes to make the following announcement so as to keep the market fully informed. The Company, as operator Backreef Area wishes to advise that its earthmoving contractor has advised on 24 April 2012 that it had encountered unexpected difficult road making conditions in area in its the preparation of the road to the well/camp sites areas resulting in the bogging of the contractor&apos;s Caterpillar D8 dozer. The Company, as operator Backreef Area formally advises that the necessary Backreef Production Test documentation were formally lodged on 12 April 2012 with all stakeholders. Oil Basins Limited (ASX:OBL) wishes to make the following announcement as a matter of record. The Company, as operator Backreef Area formally advises that the necessary Backreef Production Test documentation were formally lodged on 12 April 2012 with all stakeholders. Oil Basins Limited (ASX:OBL) is pleased to provide an April 2012 Investor Presentation, regarding Impact of Farmout of up to 20% Backreef Area. Oil Basins Limited (ASX:OBL) are pleased to make the following ASX and Media Announcement. 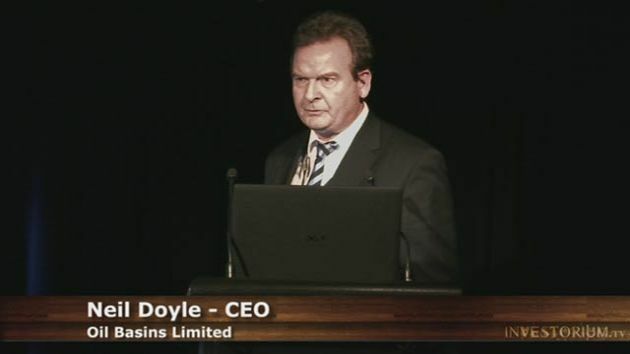 Oil Basins Limited (ASX:OBL) is pleased to provide an opportunity to listen to an audio broadcast with Mr Neil Doyle, Executive Director on Tuesday 20 March 2012 at 11.45am (AEST) in a presentation at the Excellence in Oil & Gas conference. Oil Basins Limited (ASX:OBL) wishes to make the following ASX Announcement, so as to keep the market fully informed. Oil Basins Limited (ASX:OBL) is a junior oil and gas company with a portfolio of conventional oil and gas, coal seam gas (CSG) and unconventional shale gas (USG) exploration projects in good hydrocarbon addresses in offshore Gippsland and Carnarvon Basins and the onshore Canning Basin. Oil Basins Limited (ASX:OBL) is pleased to announce the successful placement of 50 million new ordinary OBL shares with "Sophisticated Investors" and "Professional Investors" at A$0.032 per share to raise AU$1,600,000. Oil Basins Limited (ASX:OBL) are pleased to make the following ASX announcement as a matter of record so as to keep the market fully informed about a significant independent re-assessment of the prospectivity of its Backreef Area interests in the Fitzroy Trough region of the Canning Basin, Western Australia - OBL net 100% beneficial interest. Oil Basins Limited (ASX:OBL) is pleased to provide an opportunity to listen to an audio broadcast with Mr Neil Doyle, Director & CEO on Friday 28 October 2011 at 9.00am (AEST) on a commentary entitled "OBL completes scoping study" relating to the Company&apos;s earlier ASX Announcement Cyrano Oil Field Scoping Study dated 26 October, 2011. Oil Basins Limited (ASX:OBL) are pleased to make the following ASX announcement relating to Retention Lease R3 / R1 containing the undeveloped Cyrano Oil Field, offshore Carnarvon Basin, offshore Western Australia (WA) so as to keep the market fully informed. 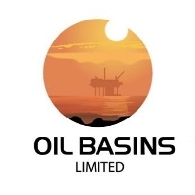 Oil Basins Limited (ASX:OBL) says today that the proposed cased hole production test of Backreef-1 will be postponed to 2Q2012, with circa late April 2012 being the earliest estimated time (subject to the usual stakeholder consents and rig availability). Oil Basins Limited (ASX:OBL) are pleased to make the following ASX announcement relating to the award of the Retention Lease R3, newly designated as R3 / R1 containing the undeveloped Cyrano Oil Field, offshore Carnarvon Basin, Western Australia (WA) so as to keep the market fully informed. Oil Basins Limited (ASX:OBL) are pleased to make the following ASX announcement relating to the renewal of Retention Lease R3 containing the undeveloped Cyrano Oil Field, offshore Carnarvon Basin, Western Australia (WA) so as to keep the market fully informed. Oil Basins Limited (ASX:OBL) are pleased to make the following ASX announcement relating to the testing of the previously cased and suspended Backreef-1 well, Backreef Area (OBL 100% beneficial interest), Canning Basin, onshore Western Australia (WA) so as to keep the market fully informed. Oil Basins Limited (ASX:OBL) are pleased to make the following ASX announcement relating to the Backreef Area, Canning Basin, onshore Western Australia (WA) so as to keep the market fully informed. Oil Basins Limited (ASX:OBL) wishes to advise the ASX that effective from 12 July 2011, the Company has reached a formal agreement with its WA Canning Basin Permit Application 5/07-8 EP Joint Venture Partner Backreef Oil Pty Limited for OBL&apos;s appointment as Designate Unconventional Shale Gas Permit 5/07-8 EP Operator. Oil Basins Limited (ASX:OBL) are pleased to make the following ASX announcement relating to the Backreef Area Canning Basin, onshore Western Australia (WA) in response to a number of shareholder requests and so as to keep the market fully informed. 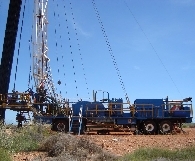 Oil Basins Limited (ASX:OBL) as 100% owner of Carnarvon basin permit R3 containing the Cyrano Oil Field has had independent reservoir evaluation and economic analysis engineers RPS Energy examine all relevant data available to reassess the field. Further to Oil Basins Limited&apos;s (ASX:OBL) Announcement on 1 November 2010 that the recently drilled Backreef-1 well would be cased and suspended pending a more comprehensive petrophysical assessment, OBL advises that this independent report has now been received and contains encouraging results with respect to the likely petroleum potential and a potential extrapolation to a low cost and significant New Oil Play. As recently announced, this is now beneficially owned 100% by OBL. Oil Basins Limited (ASX:OBL) make the following ASX announcement relating to drilling and completion operations at Backreef-1, Backreef Area Canning Basin, onshore Western Australia. Oil Basins Limited (ASX:OBL) wish to make the following ASX announcement relating to the drilling operations at Backreef-1, Backreef Area, Canning Basin, onshore Western Australia (WA). The following announcement is made by Oil Basins Limited (ASX:OBL) so as to keep the market fully informed. On 18 October 2010 the Company and Tap Oil Limited (ASX:TAP) executed a sale and purchase agreement whereby OBL acquires the 75% remaining interest in Retention Lease R3 that OBL doesn&apos;t presently own. The area of R3 is one graticular block and contains the small undeveloped Cyrano offshore discovery in 16m of water. Oil Basins Limited (ASX:OBL) wish to make the following ASX announcement relating to the drilling operations at Backreef-1, Backreef Area, Canning Basin, onshore Western Australia. 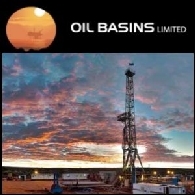 Oil Basins Limited (ASX:OBL) wish to make the following ASX announcement relating to the drilling operations at Backreef-1, Backreef Area Canning Basin, onshore Western Australia (WA). Oil Basins Limited (ASX:OBL) are pleased to make the following ASX announcement relating to the commencement of drilling operations at Backreef-1, Backreef Area Canning Basin, onshore Western Australia. Oil Basins Limited (ASX:OBL) are pleased to make the following ASX announcement relating to the imminent commencement of drilling operations at Backreef-1, Backreef Area Canning Basin, onshore Western Australia (WA). Oil Basins Limited (ASX:OBL) is pleased to announce a fully underwritten non-renounceable rights issue to shareholders (Rights Issue), to raise A$5,261,810 before costs. Oil Basins Limited (ASX:OBL) is pleased to announce the agreed placement of 6.5 million new ordinary OBL shares at A$0.04 per share to raise A$260,000. Oil Basins Limited (ASX:OBL) recently commissioned an independent assessment of the coal seam gas (CSG) and unconventional shale gas (USG) potential of both Exploration Permit 5/07-8 EP and the Backreef Area - Canning Basin, where the Company has interests. The following announcement is made by Oil Basins Limited (ASX:OBL) so as to keep the market fully informed. As mentioned in the OBL March 2010 Quarterly Report released to the ASX on 30 April 2010, the Company is pleased to advise that as a result of the recent Vic/P41 Joint Venture Meeting, OBL was appointed agent on behalf of the Vic/P41 joint venture for Managing the Farm-Out.